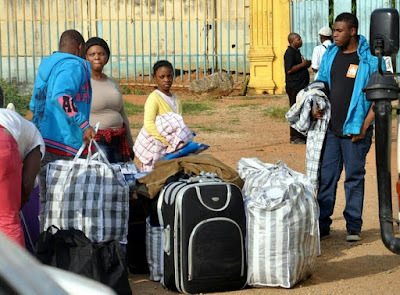 At least 41 Nigerians were on Thursday deported from six European countries for immigration and related offences. The deportees came from Austria, Germany, Hungry, Switzerland, Norway and Denmark. A Nigeria Immigration Service (NIS) source said the deportees comprised 35 males and six females. The source said the 41 people were deported for overstaying in the European countries. They were picked from different cities in the six countries. Illegal immigrants na wah, send them all back to their houses.